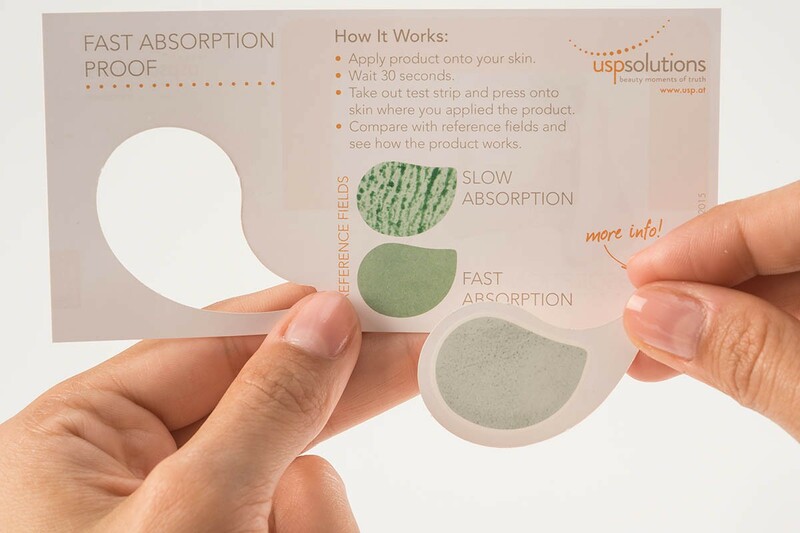 How quickly does your product absorb into the skin? 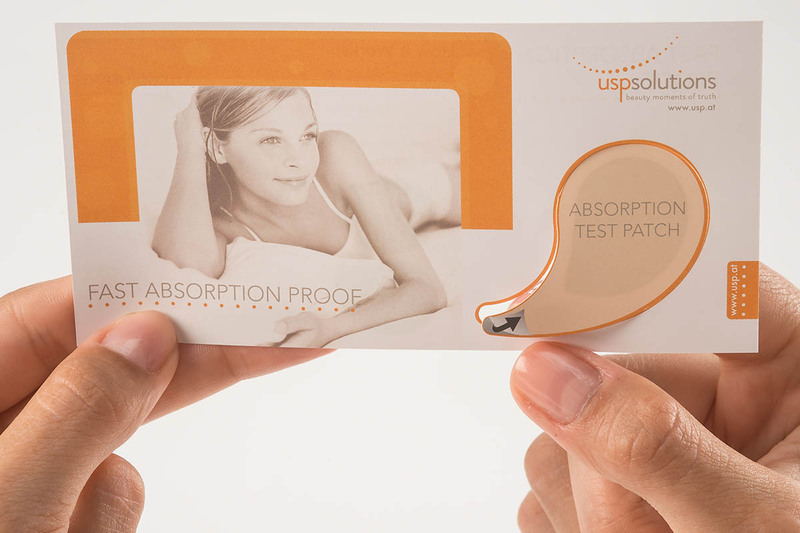 USP Solutions’ Fast Absorption Test is a reliable and easy-to-use test which appeals to your consumer’s senses – enabling them to touch and feel your brand, thus emotionally engaging them. 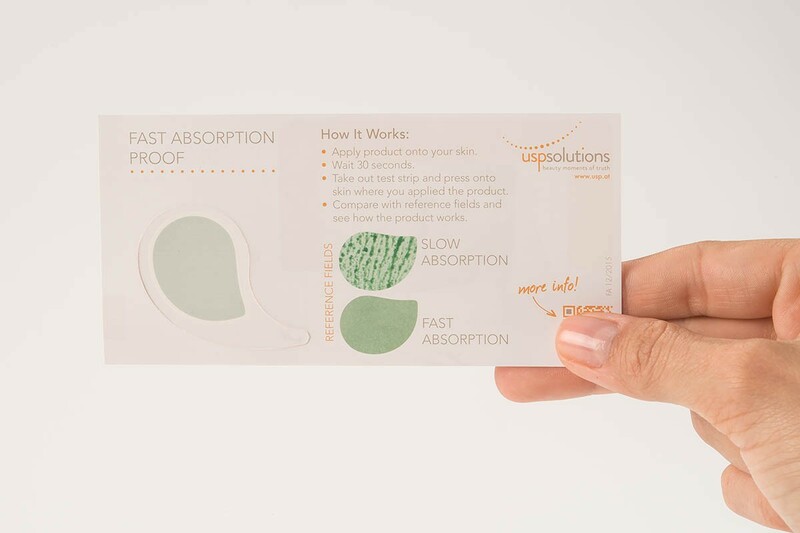 The Fast Absorption Test reacts to oil and moisturizing elements on the skin. If a lotion is absorbed quickly, only few sebum and moisturizing elements are left on the skin, displayed as dark spots on the test area. When consumers learn that your product claim can be proven, they experience an “A-ha” moment. This emotional experience is also referred to as “Beauty Moment of Truth”. 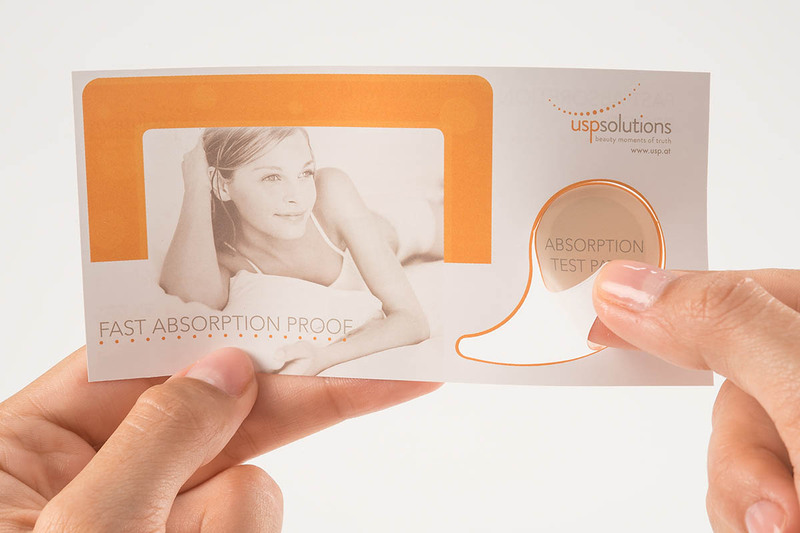 The Fast Absorption Test, therefore, creates an engaging consumer experience. On the other hand, it proves your product’s claim – essential when it comes to brand trust and brand loyalty. 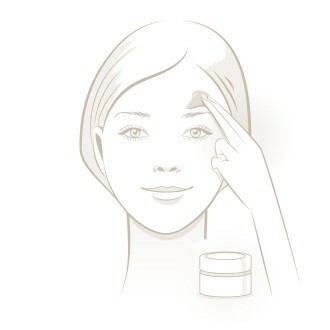 Most skin care brands offer a wide variety of product choice, each with a different product claim. Consumers are often uncertain which product is right for them. 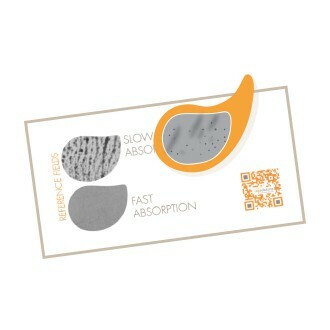 Most of the time customers feel overwhelmed by the great variety of skin care products available. Uncertain about their skin needs they find it difficult to choose “the one”. How do they know if the product holds what it promises? 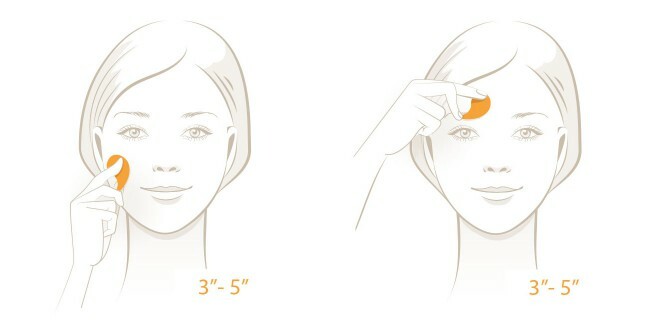 Apply skin care product – then wait for 30 seconds. (must be an area where you have applied skin care product). 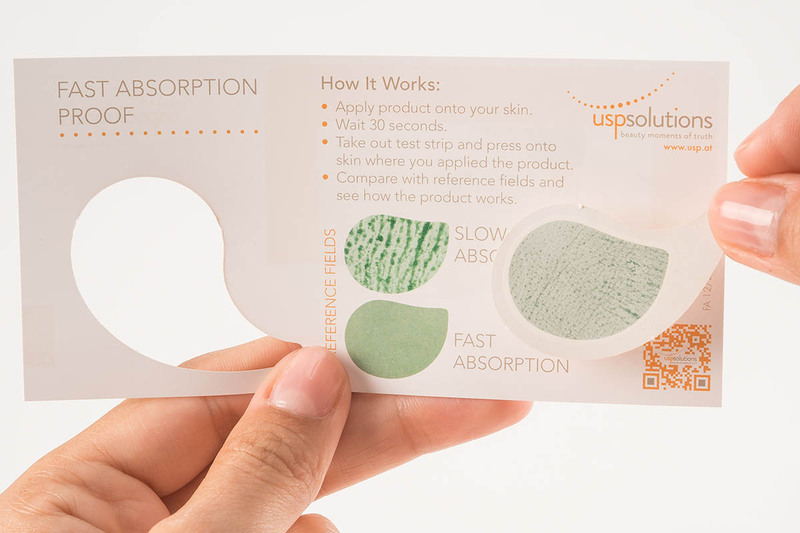 Compare result with reference field to see how fast the skin care product was absorbed by your skin and to see how well your skin care product works.